We have this week's menu put together for you! With 4 great dinner ideas, one of my favorite appetizers and a couple of breakfast treats we have everyone covered and it's going to be delicious! Woohoo for another weekend! We are on to phase two of operation playset build. The first floor decks are going on. It is really starting to come together. I am interested to see what phase three brings. I have been operating on the execution phase but have been leaving the planning to my husband. He's loving every minute of it! I think he is building the jungle gym of his childhood dreams. To be honest, it is kind of fun working together to build it. Of course it is fun to watch little man get excited about it as it grows too. In other news, I'm wrapping up recipe development for #appleweek. I have a great lineup put together for you. With any luck I'll get the last one ironed out this afternoon. It is hard to believe it is almost here. I can't wait to share them all with you. I hope you have been having a great weekend as well! 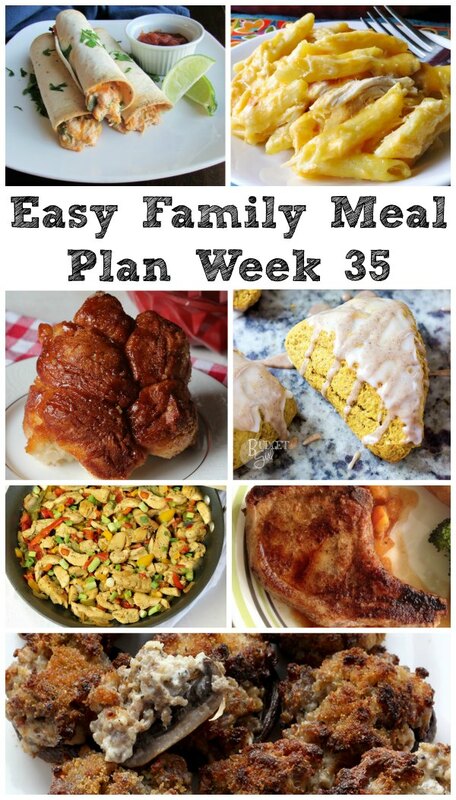 I won't make you wait any longer, here is this week's menu. 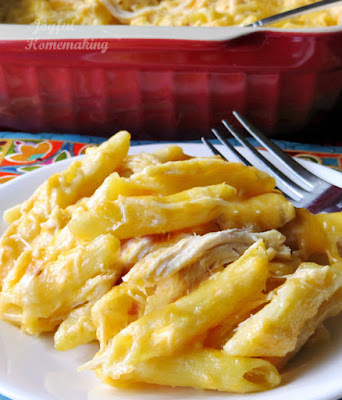 This lightened up cheesy chicken casserole from Joyful Homemaking looks like a great way to start the week! 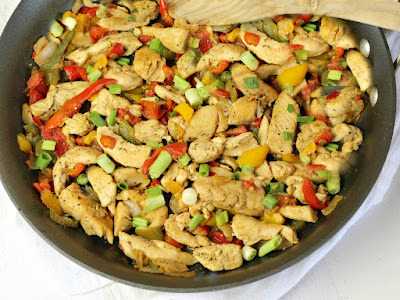 Next up we'll have this delicious looking 30-Minute Chicken Fajitas from New South Charm. 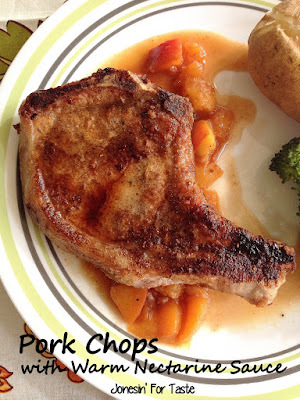 After that we'll enjoy some pork chops with warm nectarine sauce from Jonesin' for Taste. 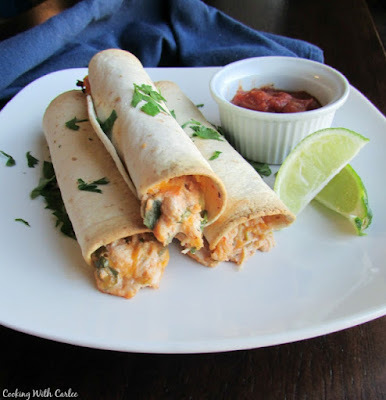 If you haven't tried these creamy chicken taquitos yet, you really should! My cousin shared the recipe with me and they have been a favorite ever since! 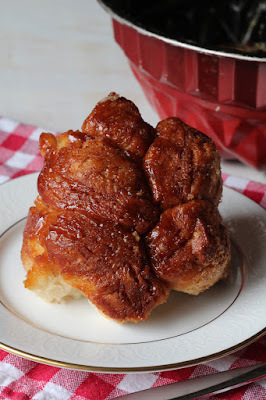 My family loves a good monkey bread, so I can't wait to try this chai spiced monkey bread from Mildly Meandering. 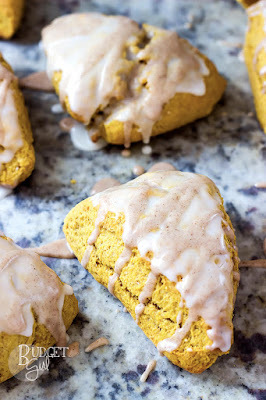 These pumpkin scones with spiced glaze look like a great way to start a fall day. 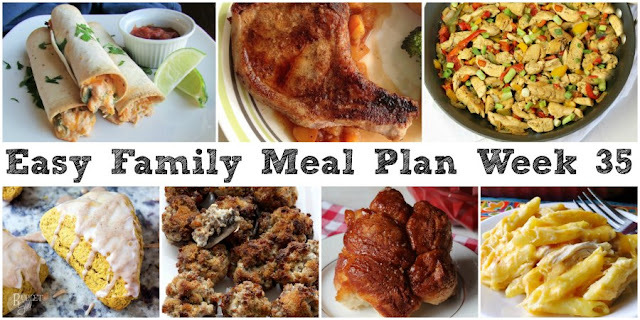 I live for these meal plans, but you really sealed the deal with the chai spice monkey bread and pumpkin scones! My sweet tooth is my weakness! Don't they both look amazing?! Thanks, Andrea! Now I'm hungry! :) This all looks delicious! Those stuffed mushrooms will be going on my list for this weekend! Stuffed mushrooms are on of my favorites. I can't wait to make them too! Thanks, Laura!